Siemer Milling Company is celebrating its 135th anniversary with an Open House for the public at its flour mill on south U.S. Rte 41 just northwest of Pembroke. Now you can find out what goes on inside that massive structure with the blank concrete walls and the rows of grain storage silos and bins! The Open House will be held Saturday, September 16th, from 11am – 3pm. Siemer Milling invites you to take a mill tour, register for door prizes, and enjoy snacks made with Siemer flour. On the mill tour, visitors will get a close look at the process of making wheat flour, from receiving the wheat, to grinding and separating it, to putting it into shipping containers. To participate in the tour, visitors will be required to have close-toed shoes, ankle-length pants, and shirts with sleeves (short OK), and must be able to climb six flights of stairs. 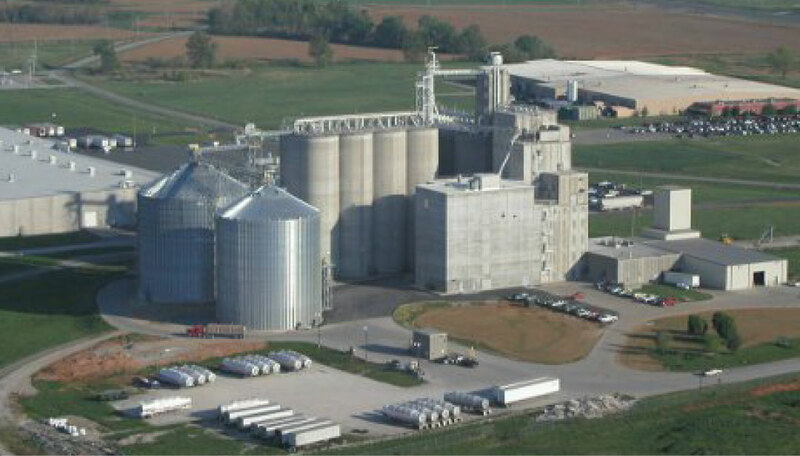 Siemer Milling Company is a family- and employee-owned company, begun in 1882 in Teutopolis, IL. Our primary product is wheat flour milled to different specifications for foods like crackers, cakes, biscuits, cookies, pretzels, and batters & breadings.